This period is known as a time of rehabilitation. Some individuals may be able to rehabilitate at home, with the support of family or friends. Others, however, require more specialist support, which his often not available through the NHS. This is where we can step in. For some people this may be the case, but for many there may be a very slow or limited recovery, and for others no recovery at all. 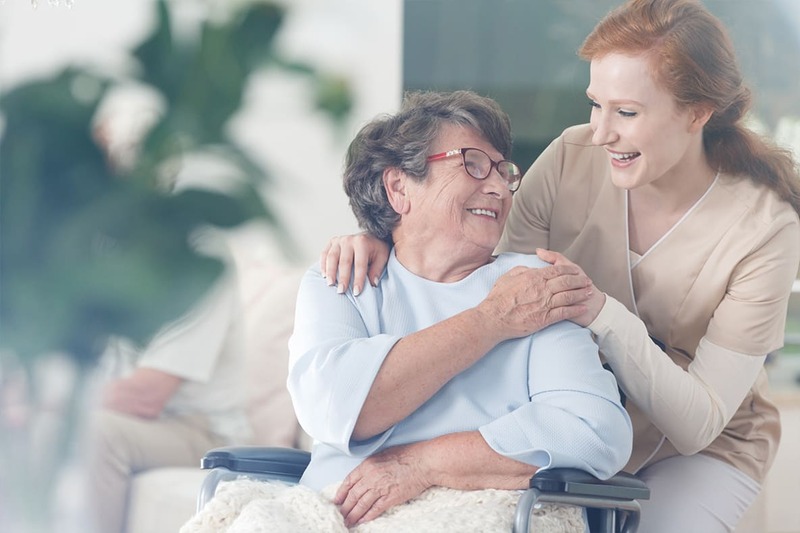 When we step in to a rehabilitation role with an older person, our job is not necessarily to get them back to where they were before their accident or illness, as this may not be possible. Our role is to help them regain the best possible functional independence. All too often, older people are discharged from hospitals without really being able to manage on their own. Whether they are dealing with a broken bone, recovering from an illness or something else, full recovery as an older person can take a long time. Our hospitals are under increasing pressure to free up the bed as soon as possible, which can mean sending older people home before they are fully ready. The NHS funds reablement or intermediate care for up to six weeks, which can be a lifesaver, but availability will depend on where you live and what funding your local authority has available. This type of care is intended to fill a short-term need and is not always done in the person’s best interest. Lack of funding can often mean they are moved from one facility to another, and they could end up in a council run care home a long way away from family and friends. Demand tends to outstrip supply, which can mean a wait of several days before the care can start. Here at Chilton House, we understand that rehabilitation is not a one size fits all thing. Some people recover faster than others, and all we can do is to move at the pace of the individual, helping them to achieve a little more each day. Targeted, effective rehabilitation can help prevent readmission into hospital, building the persons strength, abilities and confidence until they are ready to lead an independent life once again. It’s not, as many people fear, a gateway into permanent residential care, rather it is a route to going home in the right way, and at the right time. Extensive experience in post-operative care: Our team has cared for people following all types of surgery for many years, making them ideally placed to care for those who have undergone joint replacements and other types of surgery. Professional care for specific conditions: Within our team we can provide nursing care for a range of conditions, including Parkinson’s, MS, cancer and stroke. Access to specialist services: From physiotherapists to specialist doctors, those entering intermediate care with us will have fast and convenient access to the services they need in order to recover as quickly as possible. Efficient, targeted reablement: We want our patients to leave feeling confident, competent and ready to be independent once again. Everything we do is targeted with these goals in mind, including strength building, confidence acquisition and support for healthy living. Numerous studies have shown how targeted care in a residential setting can accelerate the recovery of a wide range of people. Our positive environment and expertise guarantee your loved on the best chance of a successful return to independence. Talk to our team about care following sickness, accident or a hospital admission.